The Onion Field – Did You See That One? 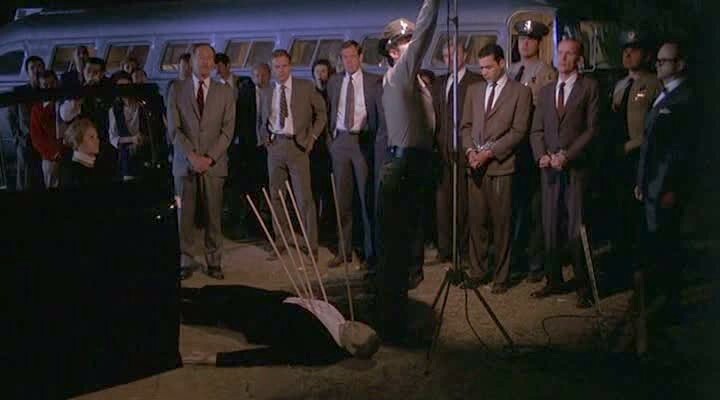 Officers Karl Hettinger (Savage) and Ian Campbell (Danson) are kidnapped by Greg Powell (Woods) and Jimmy Smith (Seales), and Campbell is eventually murdered. Now Powell and Smith are trying to navigate the justice system in an effort to avoid the death penalty, and Karl Hettinger is struggling with guilt over his survival and inability to save his partner. 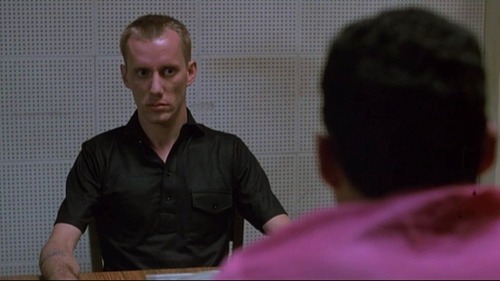 This film is based on the true story of the kidnapping of Hettinger and Campbell, and Campbell’s subsequent murder. 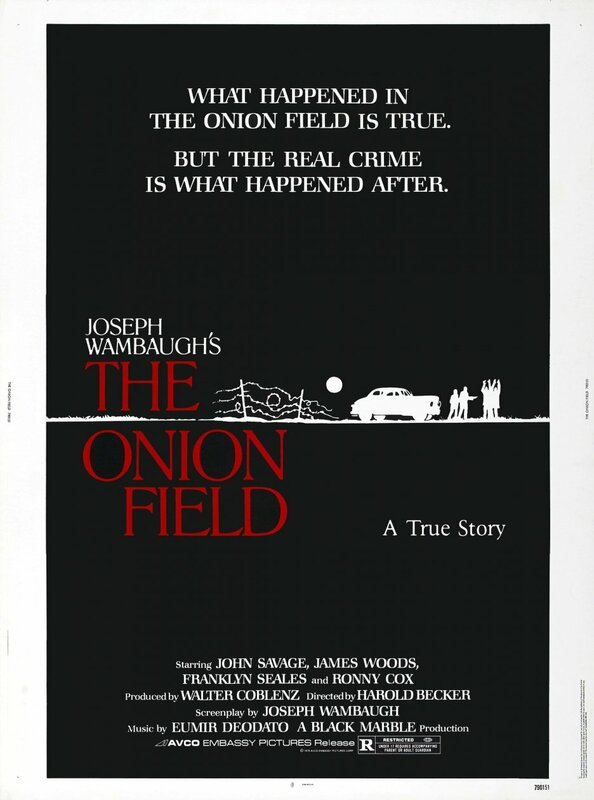 The events were first put into writing by Joseph Wambaugh (The Black Marble) in his book “The Onion Field”, published in 1973. The book was eventually adapted into a screenplay by Wambaugh and Eric Roth (Munich), and the film was directed by Harold Becker (City Hall). John Savage (The Thin Red Line), James Woods (The General’s Daughter), and Franklyn Seales (Southern Comfort) star in this one. 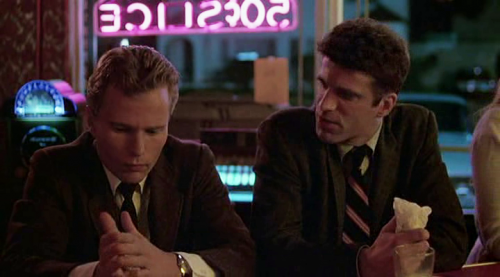 Ted Danson (3 Men and a Baby) is also featured in his first feature film appearance. This is a haunting and sad story, built around real-life events that led to the murder of a Los Angeles City police officer. The writing seems to take a unique approach to the story, initially portraying the murderers as evil. As the story progresses, this evil is peeled away to reveal a more sympathetic storyline. This doesn’t mean that there’s sympathy for the killers, just a better understanding of the backgrounds of the men. The story also find a deeply sympathetic angle to look at the two officers. For Campbell, this is done through the eyes of those left behind. For Hettinger the story is about survivor’s guilt and the toll these events took on his career and his life. Overall, the story is a character-driven drama that lacks in a coherent arc. It’s nicely written, but ultimately feels like it’s missing something. The acting in this film features some nice work from a number of talented men. John Savage leads the way with an emotional performance that seems to underscore the emotional struggles of his character. He also seemed to understand the fear necessary for his role in the film. Overall it’s one of the more powerful aspects of the film. 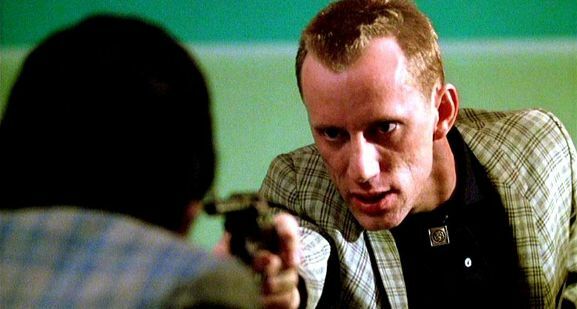 James Woods is also great in this movie. His character displays savage characteristics that are a cover for a deeply troubled person. He has the ability to swing the emotional aspects of his performance at any time, and his work helps to keep the tension in the story going strong. This film worked as Ted Danson’s first exposure to feature film work. Prior to this, Danson had only worked in limited roles on television. His role in this movie isn’t extensive, but it does play a major part in the story. He does a nice job understanding the tone of the film and making his character likeable. The sympathetic nature of his character comes out thanks to his nice work. The last big performance in this one comes from Franklyn Seales. Seales was able to really understand the emotional and cultural aspects of his role. His level of emotion brings this movie something special. Unfortunately, Seales was a casualty of the AIDS epidemic, cutting short a promising career. Overall, this cast does just about as much as anyone could with a story with some plot weaknesses. This film doesn’t do too much with the visuals. It does a nice job bringing the era of the story to life. The film also does some nice things with the editing to make some of the more intense scenes stand out. Unfortunately, the movie feels like it’s missing something in the story. While true crime fans might enjoy this one, it might not work for anyone looking for something more intense. Part of this issue is the slower pace of the film. There are a couple of characters that seem like they might have been better left on the cutting room floor. If you’re a fan of the stars, this might be a fun watch. I would also suggest this to fans of crime dramas. I give this one 3.4 out of 5 stars. Nice review! Check out mine on Breakfast at Tiffany’s! I’ll be checking out out soon. Thanks for reading this one! 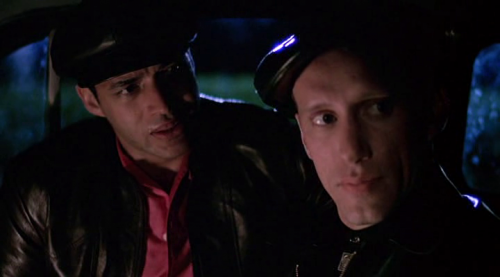 Pingback: John Q | Did You See That One? Pingback: Hearts Beat Loud – Did You See That One?